Presidential candidate, comedian Volodymyr Zelenskyy has refused to take part in a public election debate with incumbent President Petro Poroshenko at the Olympic Stadium on 14 April, the comic’s HQ has informed his competitor’s HQ, according to MP Artur Herasymov. Herasymov said that Poroshenko would be at the stadium for a debate starting at 14.14 on 14 April. “Unfortunately, today we have learnt from Volodymyr Zelenskyy’s team that he is either not ready or not willing to take part in a debate,” he added. Earlier today, Zelenskyy’s HQ said that he was prepared to hold a video debate with Poroshenko: the president will speak from the National Public TV studio while Zelenskyy will be at the stadium. 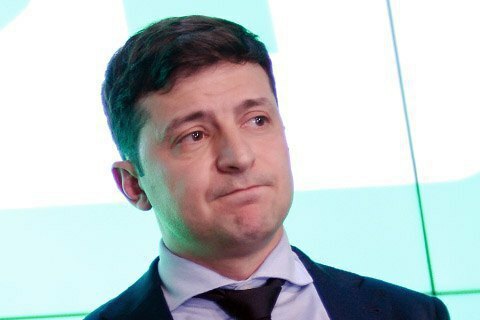 The idea of a debate at the stadium initially belonged to Zelenskyy. After the showman posted a video clip challenging Poroshenko to a debate at the stadium, the president accepted it. However, Zelenskyy has started to refuse from participation in any debate at all.